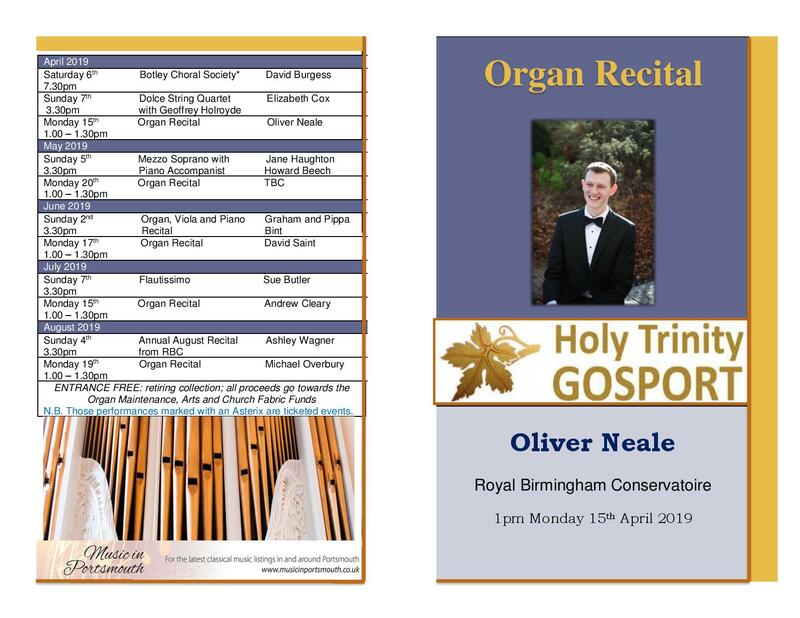 We are absolutely thrilled to be welcoming Oliver Neale to our recital programme, for his first performance at Holy Trinity, Gosport, on Monday 15th April from 1.00 to 1.30pm. Clearly a very talented and versatile young musician, Oliver, who grew up in Norfolk, is a first year student at the Royal Birmingham Conservatoire – and already a seasoned recitalist! 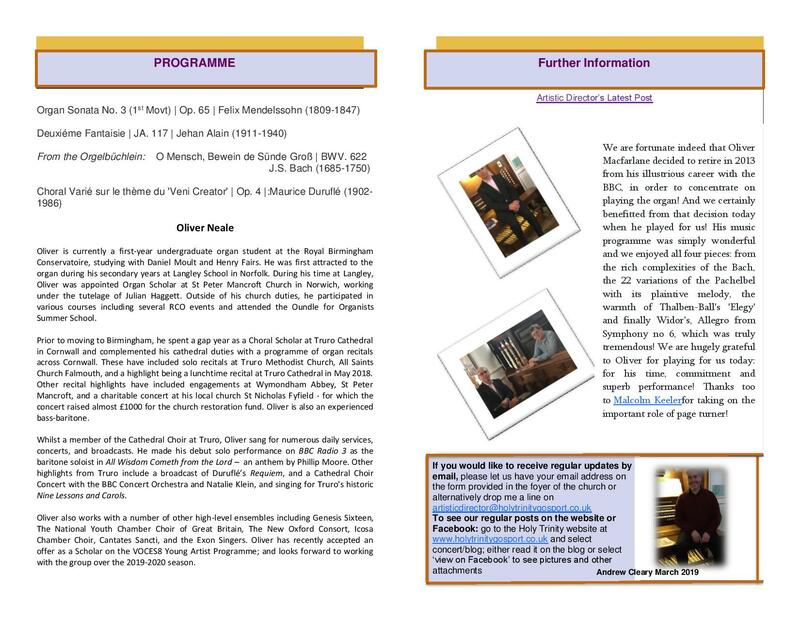 (Please see his programme for more details.) 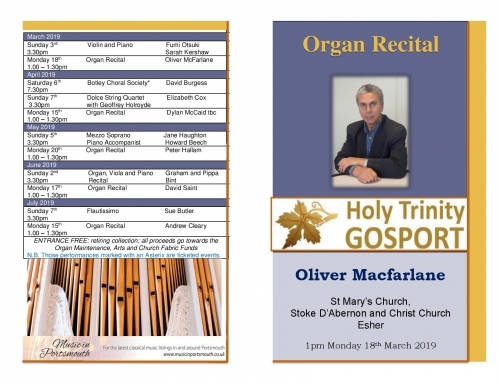 A very warm welcome awaits you so do please join us for half an hour of beautiful music; bring your lunch, sit back and start the week as you mean to go on . . . smiling! See you there!